Great skincare is just a click away! Did you know the doctors who created Proactive in the 1990s are doing it again with their new line of anti-aging skincare? When I say they've done it again, what do I mean? In 1995, two dermatologists who graduated with honors from Stanford University set out to do something that had never been done before -- treat the entire face -- not just the bumps -- to eradicate acne. 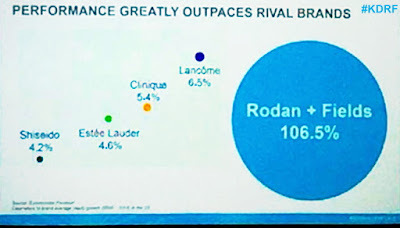 They succeeded so well that their product -- Rodan + Fields Proactive -- now controls 83% of the global acne market. An astonishing EIGHTY THREE PERCENT of all acne products sold around the world are Proactiv. Acne had been the #1 problem brought to dermatologists. Not anymore. After they conquered acne and as their patients began to age, the doctors began to see more and more problems associated with aging skin, so a few years ago they decided to do something about that. They launched their new line of anti-aging skincare as Rodan + Fields Dermatologists. At first the doctors planned to sell the new line through Estee Lauder, and Rodan + Fields quickly became the #1-selling anti-aging skincare line at Nordstrom, Bloomingdale's, Macy's and other high-end retail. However, research showed it was not the Estee Lauder clerks who were selling the products, but friends telling friend. This resulted in the unprecedented decision to the most successful anti-aging skincare line out of high-end retail. Rodan + Fields would from then on work with and train independent consultants. The results have been spectacular! Fastest Growing Premium Skin Care Brand in the U.S.
For the past six years, Rodan + Fields has been the fastest-growing premium skincare brand -- not just in high-end retail -- but in the entire U.S. averaging amazing growth of 106.5% each year. We are now the #4 premium skincare brand in America, just 8 years after launching. In another 2 years, we are expected to be the #1 premium skincare brand in North America. Interestingly, our acne formulation UNBLEMISH is already the #1 premium acne treatment in the U.S.
Now we offer UNBLEMISH for acne and cystic acne, SOOTHE for sensitive skin and rosacea, REVERSE for brown spots and melasma, and REDEFINE for wrinkles, lines, and skin texture. Ask me about amazing clinical skincare products and start your way to clearer, healthier skin today! Join me on Facebook or email skin_and_health@yahoo.com for more info! I would love to help you have healthier skin! 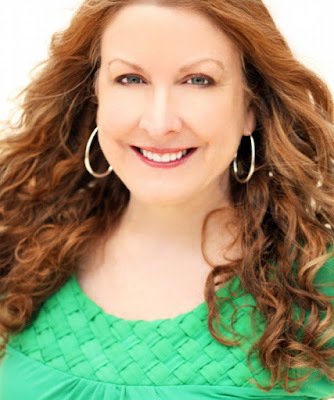 Click here to connect with me and tell me what your main skin concerns are, and I will help you decide today what your skin will look like tomorrow! Great article Kathryn! I recently joined R+D as a consultant and continue to be fascinated and elated with all of the positive results and likewise lack of negative results. Thanks again for the article. © Kathryn E. Darden. All rights reserved.. Ethereal theme. Powered by Blogger.